Since 2012, California has been suffering from the worst drought ever measured in the history of the state. The ecological crisis resulting from the lack of water is related to the wasteful lifestyle of the state’s residents. 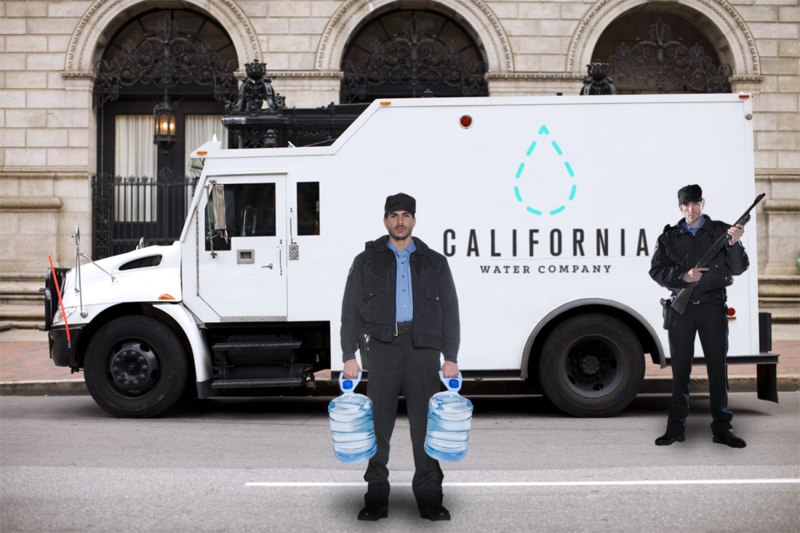 Founded by Chris Ones, the fictional California Water Company is a brand that has developed strategies to create awareness of the scarcity of California water (see: 1:1 scale). 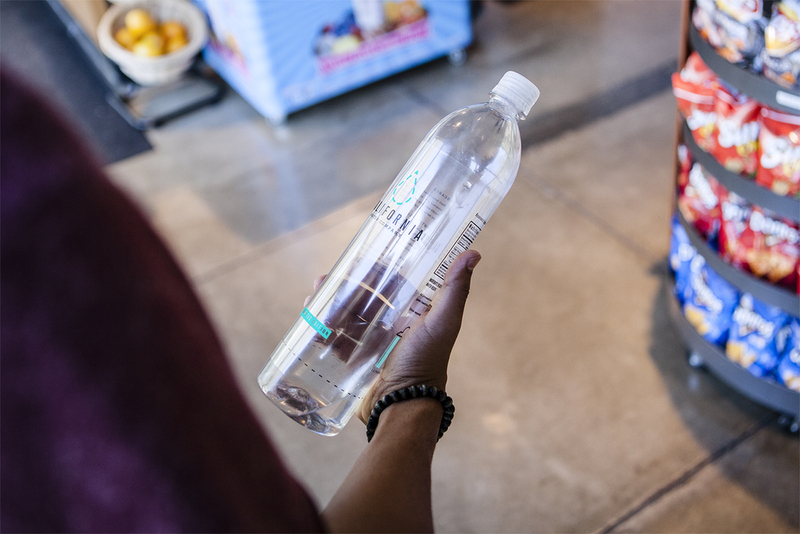 Distributed in specially designed bottles that reflect the water level in local reservoirs, the project is a strong reminder of the process of drying up; the fewer the resources, the less water there is in the bottle. Onesto works with ad-busting strategies to create a coherent, critical version of a marketing campaign (see: artistic competence). 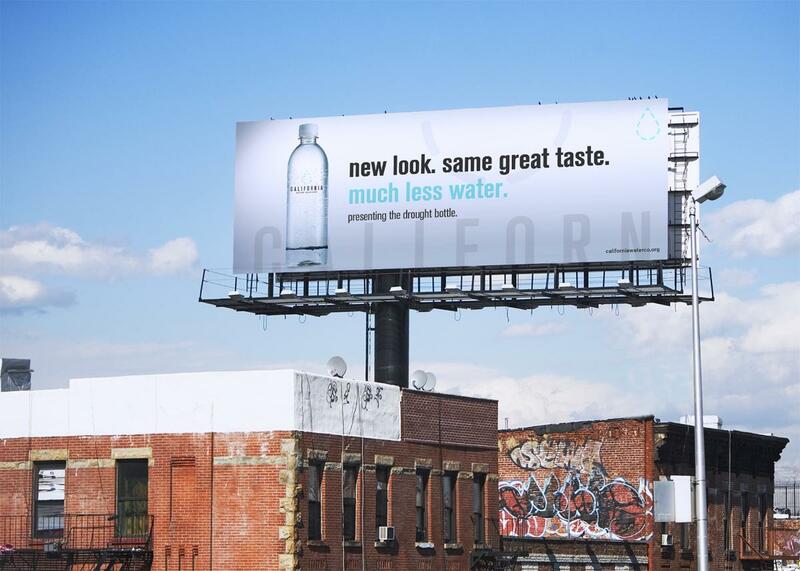 Playing with consumerist desires, he generates a perverse market demand for the luxury product that California water has become: new look, same taste, decreased supply. The California Water Company uses visual persuasion to illustrate a serious issue that is underplayed by the authorities, and it points to the cynical exploitation of an ecological crisis for the sake of increased profits. The report presented in exhibition consists of a photograph by the Museum of Modern Art in Warsaw, and three bottles, loaned to the Museum of Modern Art in Warsaw for the duration of the exhibition. Courtesy Chris Onesto.